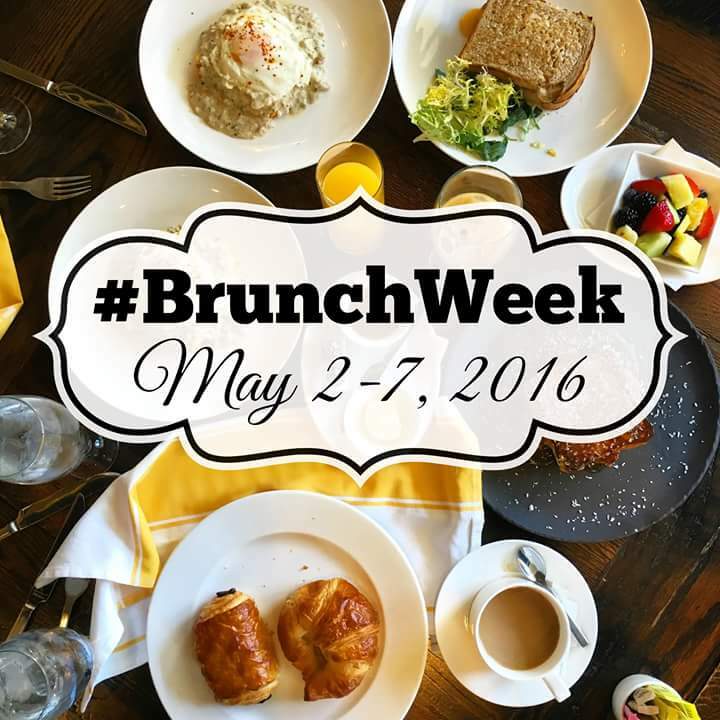 #BrunchWeek is here and in full effect! Have you been following along? Have you entered the Brunch Week contest to win 1 of 8 prize packs? 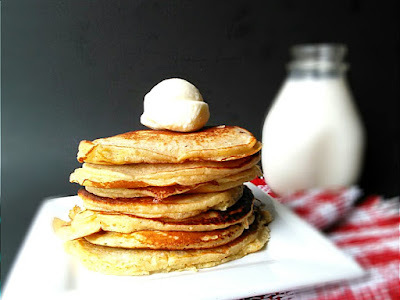 I certainly hope so, because I have a treat for you today: Orange Cardamom Pancakes. I LOVE these pancakes. I mean, for real love them. They're fluffy, light, intoxicatingly flavorful and there's a secret, not-so-secret ingredient: yeast. Red Star Yeast is one of Brunch Week's sponsors and I didn't want to showcase this new-to-me product with a bread or a roll. I'd never made yeasted pancakes before and I thought I'd try it to see what happens. What happens are SUPER fluffy pancakes like the ones in stock photos and television commercials. I am so impressed with Red Star. I made some focaccia forward a cooking class, using an old recipe of mine and it turned out better than any other time I've made it. I've used other brands of yeast because that's what I grew up using. No more. Red Star is it. I used Brunch Week sponsor Nielsen-Massey's orange extract and cinnamon's cute cousin, cardamom. So exotic, so floral, so great in these pancakes. I never thought to use any extract other than vanilla or almond in baked goods before this week. A little granulated sprinkle from my old friends from Dixie Crystals set me on the right track. To add a little bit more pizzazz, I also added a little bit of grated carrot to give the pancakes that funfetti effect. I used my cool new zester and nesting measuring spoons from Kitchen I.Q. The zester is super duper cool: there's a guard, a reservoir to hold the zest or shavings of whatever you're using and a teeny tiny squeegee to help remove it. It's a great little gadget. You should get one! 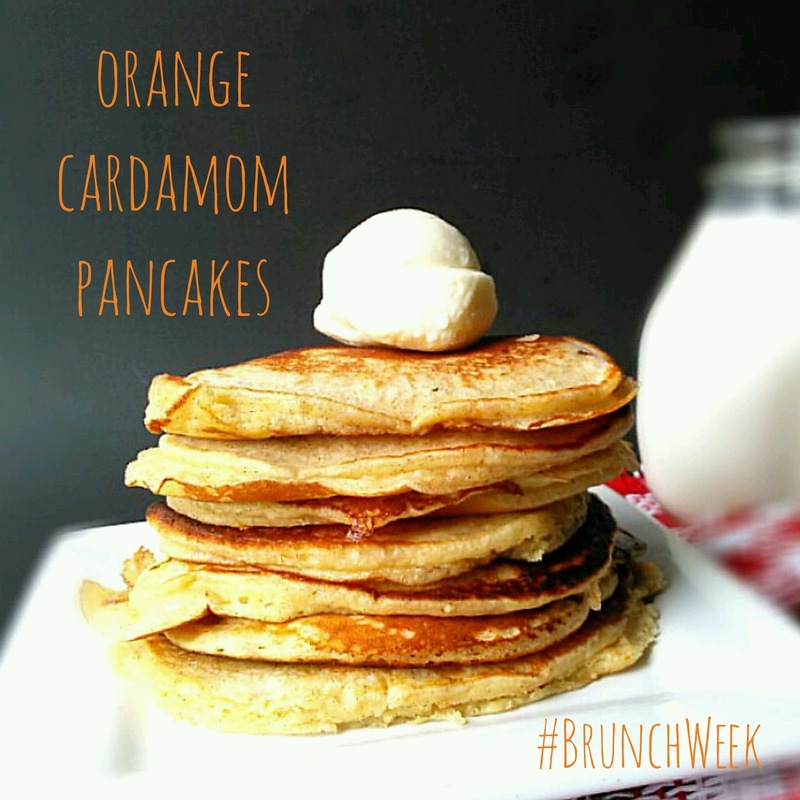 And you just might if you enter the #BrunchWeek giveaway contest! 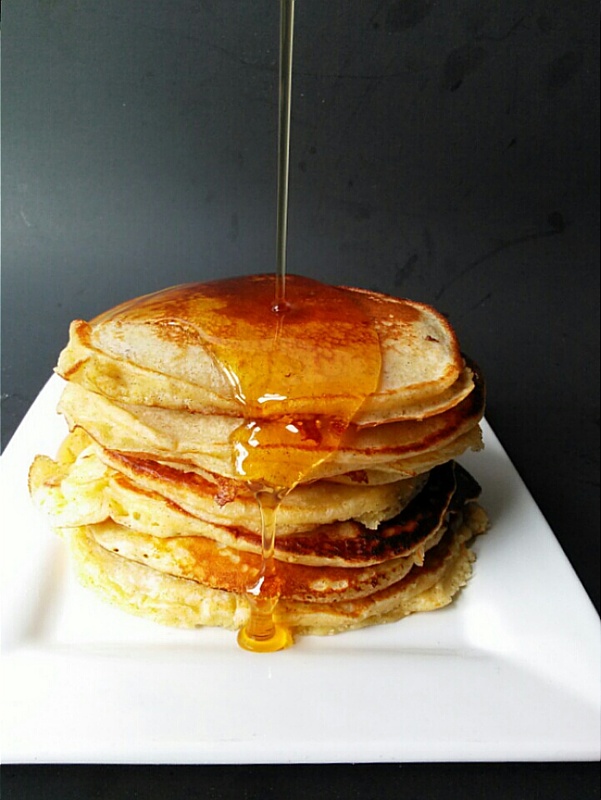 In the meantime, while you wait for your yeasted pancakes to rise, you can scroll down a bit and check out what the rest of my talented blogger friends are making for brunch and make plans accordingly! 1. In a large bowl, heat up milk and sour cream until lukewarm temperature (118°F-125°F) in the microwave. Combine 1 cup flour, yeast and 2 Tablespoons of sugar and add milk mixture. Whisk until all ingredients are well incorporated. Cover tightly with a lid or plastic wrap and let rise for an hour or overnight in the refrigerator. 2. In a small bowl, whisk 2 eggs well. Add the butter and orange extract to the eggs and whisk until combined. 3. 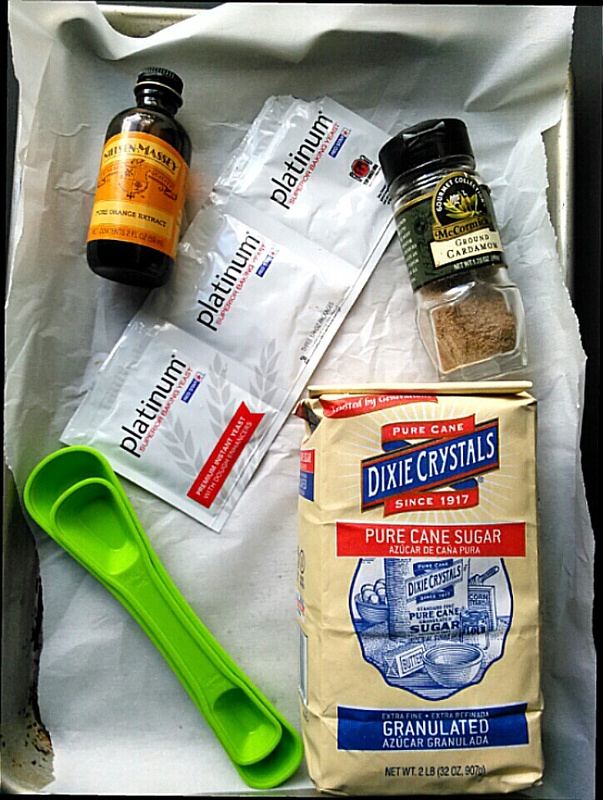 In a separate bowl combine the remaining 1 cup flour, 1 tablespoon sugar, cardamom and salt and mix. 4. Heat up a griddle or an iron cast skillet to 375°F or medium-low heat. 5. Beat down the yeast mixture and add the egg and butter mixture while keep whisking until incorporated. Add the dry flour mixture in thirds to the yeast mixture and whisk until well incorporated. 6. Use a 1/4-cup measuring cup and pour batter onto griddle, making sure each pancake is at least 2 inches apart. 7. Cook pancakes until bubbles form on the top and the edges are slightly dry, about 3 minutes. Use a spatula to flip the pancakes; cook until golden on bottom, about 1 1/2 minutes. 8. Transfer to a plate tented with aluminum foil to keep warm. Or place in warm oven. Repeat with the remaining batter. Serve with maple syrup. 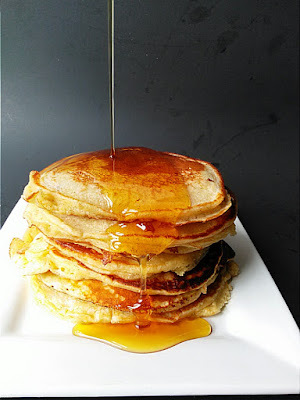 I have never made yeasted pancakes, but I am definitely intrigued! Thanks for sharing. These look incredible! These sound amazing! And carrot in the pancakes? Inspired. I love orange and cardamom in anything. Yum! These sound amazing! Love the combination of orange and cardamom. So many sponsors used for one recipe!